A small table lamp from the Happy Homewares range. 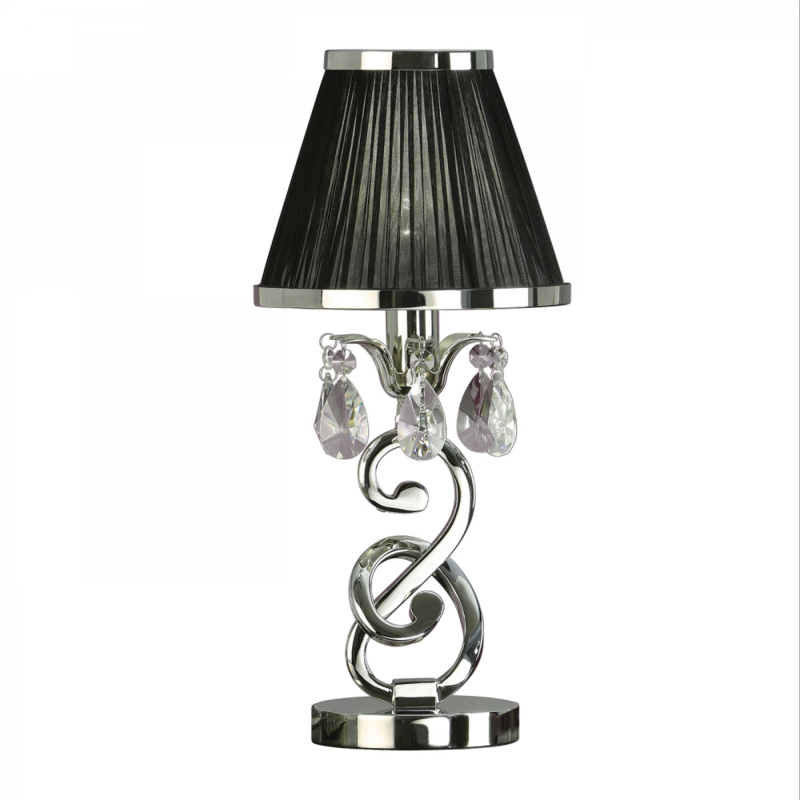 Features faceted lead crystal droplets, a decorative stem base and a black pleated shade with a polished nickel trim. Matching items available and compatible with LED lamps. 42cm height x 19cm diameter. Bulb information: 40W E14 candle - not included. This product is non-dimmable and has an IP rating of IP20. Material: Steel & lead crystal & fabric. Voltage: 220-240V.